A couple weekends ago I made it over to a semi-local RTT in Gate City, Virginia. In the spirit of the holiday season, leading up to the event I put out an offer to cover the registration fee of anyone who brought food items to donate. The turnout ended up a bit lower than expected, and while only one player brought food, two other guys showed up with donations even though they weren't playing. 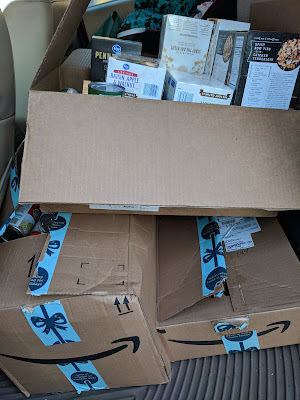 Having gotten a prior donation from another player I ended up collecting three large boxes of food items to donate to a local food pantry. What is up Everyone? In this episode, Chandler and Bryan sit down with Paul and David from the Renegade Open to do a recap of the 2018 Renegade Open. 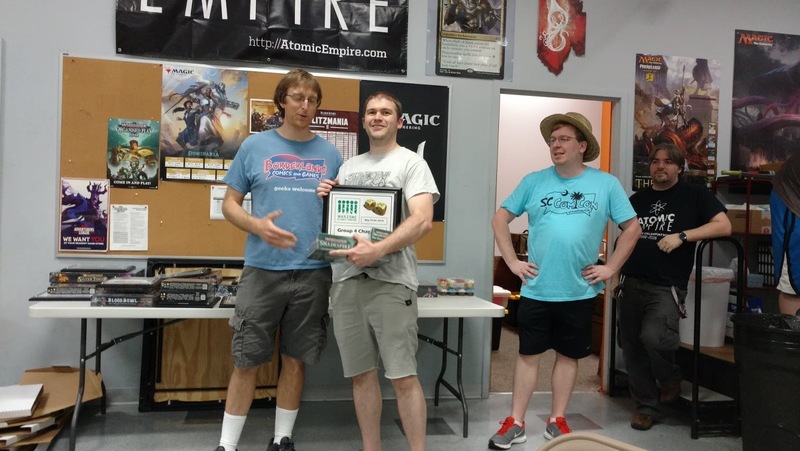 Bryan runs down his successes and failures at both the Beerhammer event and the GT. 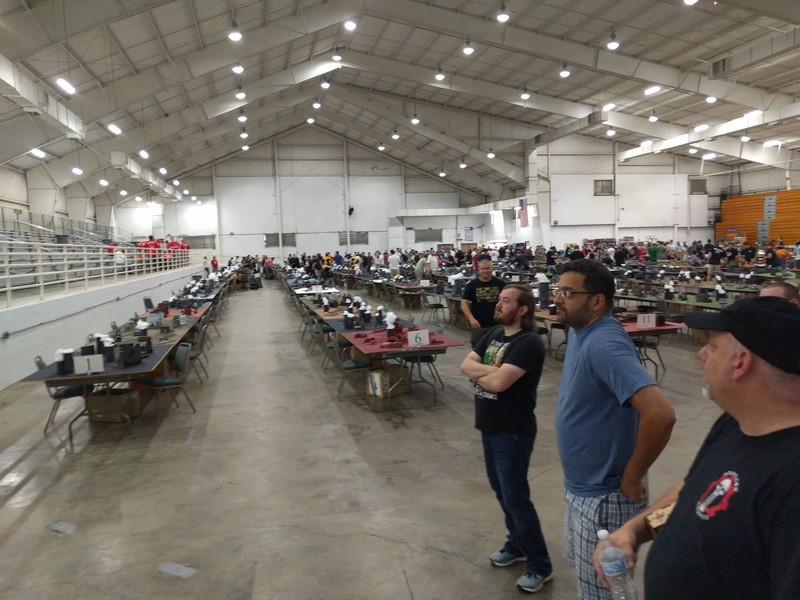 Paul and David go through the winners, the events outside of 40k, and talk about some of the success that they had from the event. The guys also break down some of the changes that will be happening in 2019 as the have a Spring tournament, the Spring Conflagration (which will be May 18-19, of 2019). They also talk about the fact that the Conflagration will be used as testing ground for the Renegade Open 2019 missions. Since this will be at the Midwest Comicon, there is more than just 40k at this cool event. Finally the guys throw in some wisdom about lessons learned on the table, things to consider when trying to improve, and how to really know if your deployment screwed you. Paul and David always bring the noise, even without a megaphone. Warzone: Atlanta is over, and now it's time to look back on the weekend; one of the best of the year. In this post I'm going to rehash my games briefly. We'll look at analyzing the outcomes compared to some predictions early next week. What is up Everyone? In this episode, Evan and Chandler sit down with Kelly Wallace and Andrew Whittaker as we break down the Best GT in the SOUTH: Warzone Atlanta. Kelly comes on to give some tid bits about the event including Bounties, Missions (including Evan's picks for the missions), Terrain changes, and the Toys for Tots bounty and donation event. Andrew, Evan, and Chandler talk about their favorite parts of Warzone, Kelly also breaks down how he starts to think about missions, mission design, and events, and Andrew breaks down how to be a true champion without even winning the event. Follow along with the Best Coast Pairings app and the Twitch Stream! Don't worry folks, Cosgrove will be on at a future date! Thanks again to all the men and women that help put on one of the premier events in the Nation! 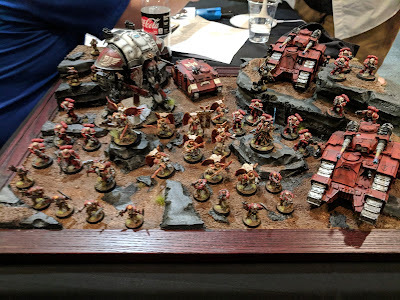 A few weeks ago I shared my planned list for Warzone: Atlanta in a couple weeks. With lists due last week I am locked in with my list, as is the rest of the field. What is up Everyone? Tonight on the podcast, Evan, Bryan, and Chandler man the podcast as we break down how Team Facing the General Geek (FTGG if you need to shorten it) did at the event. Captain Evan breaks down how the team did, how the games broke out each round, and some of the challenges he felt and had in his games. Evan also gives some helpful advice for those of you that are thinking of attending. Evan also talks briefly about the events that happened there at ATC, and also how the team approached their lists. Bryan then springs the Beerhammer List to beat all Beerhammer lists. Not going to spoil the lists, but if you go up against Bryan, be ready for a fun time. Grab a drink, pull a chair up, and enjoy! What is up everyone? It has been a very long time since I have done a post that hasn't been for a podcast episode. As most of us have found in Warhammer (or any hobby) is that life will get in the way, but I have been keeping in touch with 40k by listening to other podcasts and catching up on old episodes. While listening to The Best General Episode 26 where Adam was interviewing Ruben, an Olympic rower for the Dutch national team, I started wrestling with how 40k and sports merge, and how I can look at it for my benefit on the table. I've come up with a few topics where the two realms meet, and for today I want to look to sports for parallels with how we as a community should approach 40k when it comes to rules. Now the sport that most closely relates to 40k is not American Football, Football/Soccer, or even Boxing/MMA. These sports can teach us some pretty cool ideas that we could use on the table top, but they don't encompass the game the same way that Golf does. It's ATC Time again! 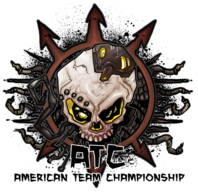 It's 4am and I'll be hitting the road very shortly to head down to Chattanooga for my second time at ATC, American Team Championship, starting today. 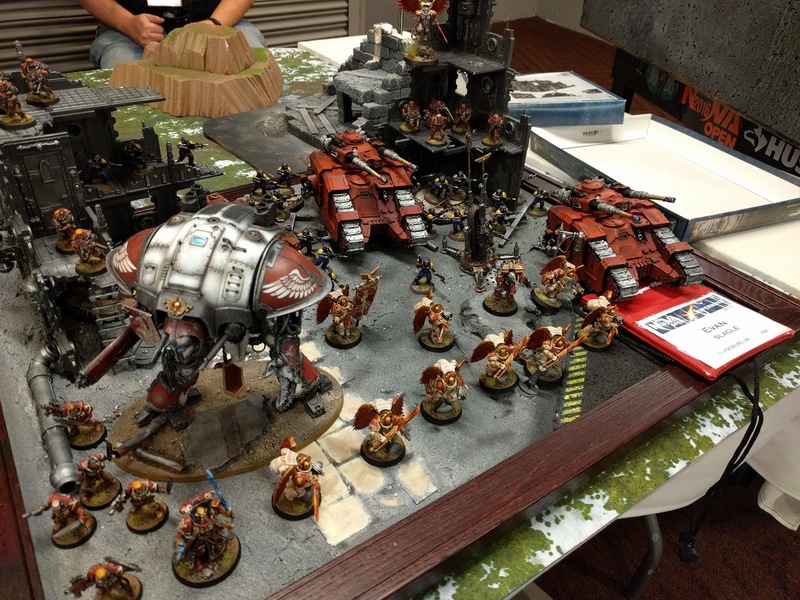 For those who don't know, ATC is (primarily) a 40k event where teams of five players face off in five 1on1 games. I lead a team last year and had a blast, and while most of the team roster has changed this year, I'm still super excited to be leading my team into a field of over 70 opposing teams - that's over 350 players! What is up Everyone? Tonight on the podcast, Evan and Chandler man the podcast as we break down the upcoming ATC. Team Captain of FTGT FTGG (Facing the General Geek) Evan breaks down the team, how the changes came about, and how we came up with the new name. We then break down how the tournament is setup this year, how the games will be set, and the schedule of events for one of the best tournaments (this is should be a bucket list tournament). We also talk about ATC using the ITC missions and some fun updates from last years tournament. Evan also breaks down what the teams thoughts were going into the ATC, how we are approaching the game, and a little of the psychology in why we are doing what we are doing. Evan also talks about the list makeup of the team and the basics of the lists. They then wrap up by breaking down the other major changes for people to expect going into the big event. Team FTGG is ready to roll, are you? What is up Everyone? Tonight on the podcast, Evan, Bryan, Ron, and Chandler all come together to talk about Dark Eldar. The boys are back and run down through the Codex talking about the hard hitters, units and strats they like, and then about building a list of just pure Dark Eldar. Bryan talks about his list he is toying around with to possible play with and his thoughts on the power of the book. Evan gives his thoughts about list building, some units he has been thinking about trying in a list, as well as his thoughts on how to tactically play with some of the models. It is good to be back and the guys are ready. Get your Eyeliner ready! No, we aren't going to a Green Day concert, it is Dark Eldar Time! My friend and ATC teammate Phil, the Glacial Geek, was in my area last week and we were able to get a game in. We opted to play ITC Missions in prep for ATC, which is rapidly approaching. I was interested in trying out armies other than my bugs to get wider experience so I asked Phil if he had any preference. He mentioned he didn't think he'd had Harlequins on his channel before, and certainly not since their Codex released (side-note: I did a first look Codex review for Nights at the Game Table); with this in mind I decided to run my Harlequins, with other Eldar support. Weekend before last I played in Warzone: Atomic Empire, in Durham, NC. 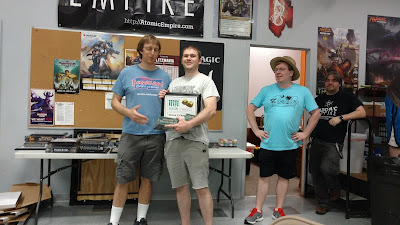 I got to play five great games against five awesome opponents, and spoiler, I managed to win my group for the first time in my tournament career. Warzone: Atomic Empire was a two-day, five-round event based on the Warzone: Atlanta concept of total hobby, and put together and run by some great players and ambassadors of the game in the Southeast, lead by Mike Twitchell and Horton Doughton. As I mentioned in my last post, I reached out to Nick and Matt at the Brown Magic for some List Doctor assistance. I opted to have them each construct a list from scratch, given nothing other than the Warzone: Atomic Empire packet and my desire that they be Tyranid lists, bringing in GSC and Guard if desired. With under a month to go until Warzone: Atomic Empire, James and I managed to get our first test game in last weekend. Both of us are flailing a little in terms of list builds post FAQ so we are both sort of defaulting back to things we have mostly painted that might work out ok.
What is up Everyone? This week Chandler and Bryan are joined by Dave and Puck from The Renegade Tournament to go through Renegade Open 2017 and to update us with a couple of new tournaments. The boys talk about everything that went into The Renegade Open 2017, their thoughts, reactions, and some of the behind the scenes of things they noticed from the results. The guys then break down two upcoming tournaments: The Spring CONflagration and The Renegade Team Tournament. They break down the full rules, the times and dates, and even get into some of the cool aspects of the list building. The guys also talk about their rules packets and the rules for building a list or a team. These guys bring a lot of knowledge, a lot of great events, and some fantastic information for all of you that are looking to participate in their events. Also, There is a huge announcement about Warzone: Atlanta coming from Dave and Puck, but I won't spoil it here. As a wise sage once said: "Renegades are people, with their own philosophy," and it clearly shows in how their events have grown over the years. 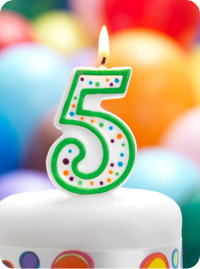 Facing the Grey Tide has now celebrated its fifth birthday (as of a couple weeks ago). As I mentioned in last year's birthday recap, we still have no intentions to close up shop. Even if we're not as active as we would like in getting content out, our attempts to face our Grey Tides have not stopped, even if sometimes it feels like I'm going backward. What is up Everyone? This week Chandler, Evan, and Bryan are talking about their thoughts on the possible FAQ, their thoughts on the the new mini knights, and the release of Tau. The boys start to talk about what they think of the Tau codex in terms of GW's possible greater move, some of their thoughts on lists leading into Adepticon, and how the mini Knights fit into all of this idea. The boys also talk briefly about their thoughts on some of the other issues that might exist between the true state of the game and where GW sees the game. The second half of the game, they talk about the Tau codex and their initial thoughts. With a very limited time of looking at the Tau Codex, the boys give their initial thoughts on the codex, and they see a very high infantry count army in the future. They finish off with a little Necron talk since the release of some preliminary rules have hit the web. The boys are back after a mini break, and the future looks to be on the ground. 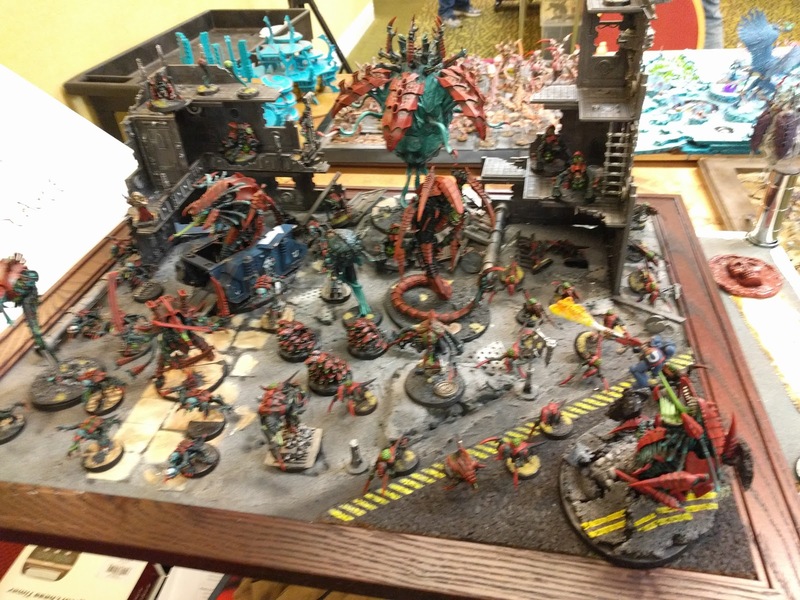 Building off my last list-building post, this post is going to go over the changes I made from the last version of my Tyranid list to the one I used last week in a game against James and his Poxwalker bomb list, and review how that game went. This is also likely the final version of the list before the impending March Balance FAQ, which I'm nervous could impact the future of the list. What is up Everyone? This week Chandler, Evan, and Bryan are talking about crazy list designs and where there place in list building lies. We talk about how these lists come up, how we should approach the lists, what can we take from crazy list building. Evan and Bryan bring some key points on what to do with certain lists and where the lists should be played. We then jump into some of the crazy Nid lists and some fun lists that we have come up with. How do we feel about Sporocysts? How many is too many Tyrants? Are outflanking Primaris Marines worth their costs? 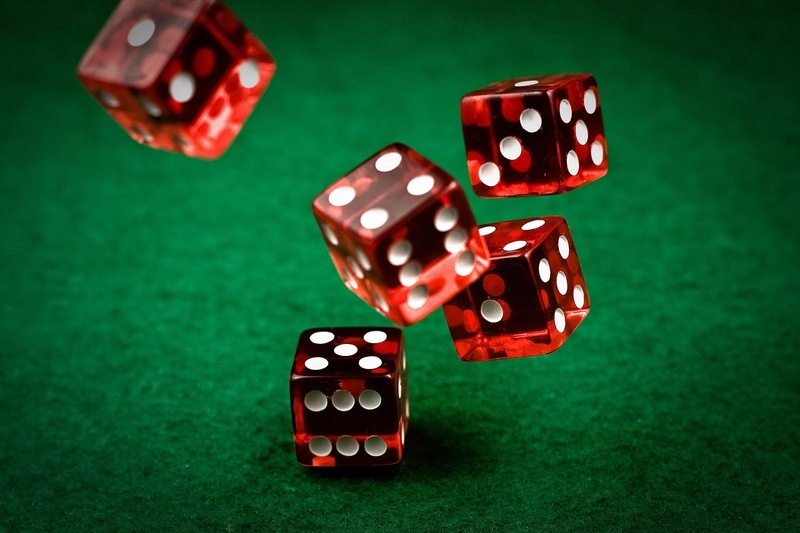 What happens when you confuse the rules? All of these have played into the crazy lists at one point or another, and the guys discuss where that happy valley lies. On our first podcast of 2018, Bryan mentioned an idea I really liked: keeping a changelog of his lists as he begins his Year of the Tyranids (hence the title). As someone with more responsibilities than game time (assuming that's most everyone), I tend to have more lists than games with said lists. My thought in shamelessly stealing Bryan's idea, is to do a bit of a post series documenting this changelog publicly for each army I embark on. I won't inundate these posts with every single list I consider and debate, but just those that actually see the table, and maybe the first thought revision following the last game. As the first of its kind, this post will also include some backtracking to show where I have come from. What is up Everyone? This week Chandler, Evan, and Bryan are joined by The Best General himself Adam Abramowicz and his personal Yoda/Coach Andrew Whittaker. The guys jump on to talk about Adam's journey on The Best General, how to approach and what to do when you make a bad table top decision, and a lot of shenanigans. Adam and Andrew are two awesome top flight players who bring a lot of knowledge and fun to everything they do (40k, Drinking, Wing eating, and Podcasting). It was truly an honor to have them on the show, and please check out Adam's awesome journey to Warzone: Atlanta 2018. Just a bunch of guys, sitting around, talking about 40k, and "multitasking". 2018, the Year of Tyranids! BC is back in action with an update to my "What army should I play" post a couple weeks ago. 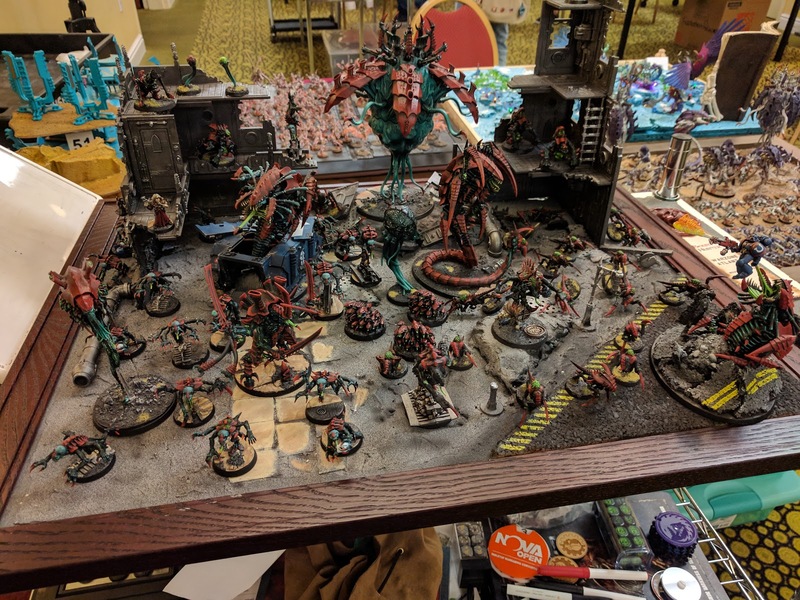 If you are a podcast listener or you are adept at reading the title of this blog post, it's all Tyranids in 2018! So before we get too deep in to this let's talk about the game plan. As part of my 2018 goal I want to play in four RTTs and my usual GT, the Renegade Open. I don't see much time for more than that. What is up Everyone? This week Chandler and Bryan sit down to talk quickly about their goals with the hobby for the next year. Bryan talks about his new color scheme, and Chandler talks about some of the realizations he had about the hobby. Both discuss how they plan to approach painting in the new year, how they are going to keep themselves accountable, and some of the challenges that they face in 2018. It is a two man show to rival that of Ron and Evan's from 2017. Two guys talking about their new year and they both spend time on the couch discussing this hobby. Happy New Year! Another year gone and a new year dawns, and with it I'm resolved to help lead a resurgence for the blog. We'll get into my resolutions further on, but there's no denying that 2017 was such as slow year for the blog that we barely deserve the name. Despite the lack of written content, we were generally a bit more regular with the podcast in the second half of the year, coinciding with the release of the new edition of 40k. Shameless plug moment: we recently started a Patreon page to support the podcast. As you may know, it takes some degree of funding to produce and host a podcast. Thus far we've been covering the costs ourselves, Chandler in particular. Any support you can provide, as little as $1 a month, will help us immensely and mean a lot. Please check us out at https://www.patreon.com/FTGTPodcast and consider supporting. Thank you. Now, onto the year in review and resolutions!